It was 20 degrees below the normal average all last week. And you know what happened this weekend? It rained and snowed and rained and snowed. Everything is slush. The chickens won’t come out for more than a few minutes, the cat is so not having this, and even the dog refused to come out and do chores with me last night. The last time she did that it was -30 outside. It’s miserable. What the situation calls for: FOOD. Delicious, hot, homemade goodness. Today was brownies, yesterday was shepards pie with lentils, corn, garlic mashed potatoes, and gravy because who doesn’t love gravy. This recipe is inspired by my love of mushrooms and comfort food and Scott’s southern love of good gravy. This gravy is vegan, cheap, and simple with lots of wiggle room to make it all your own. Here’s how it’s done. Chop and saute onion, garlic cloves, and mushrooms in the olive oil until they are tender and the onions are translucent. While they’re cooking measure out 3 cups of vegetable broth or 3 cups of water and two vegetable bouillon cubes. When the onions and mushrooms are done. Stir in the flour making sure its well mixed with the oil and you can’t see any dry spots. Add more oil as needed. Then whisk in the broth/water & bouillon. Add onion powder, nutritional yeast, and other seasonings to taste. Then simmer the mixture until it thickens . It’s important you get the gravy hot enough to bubble, otherwise it may have a lingering flour flavor. If its not as thick as you would like you can take a bit more flour and water and shake them up until they are well blended in a water tight container then quickly whisk the mixture into the gravy and let it simmer some more. DO NOT attempt to add just straight flour. You’ll end up with clumps of flour in your gravy. If its too thick simply add more broth or water. You can vary the amount of mushroom, onion, and any seasonings to your taste. We’ve used button, portabella, and oyster mushrooms and loved them all. I’ve also added dehydrated oyster mushrooms once the broth has been added. All the amounts are not exact. 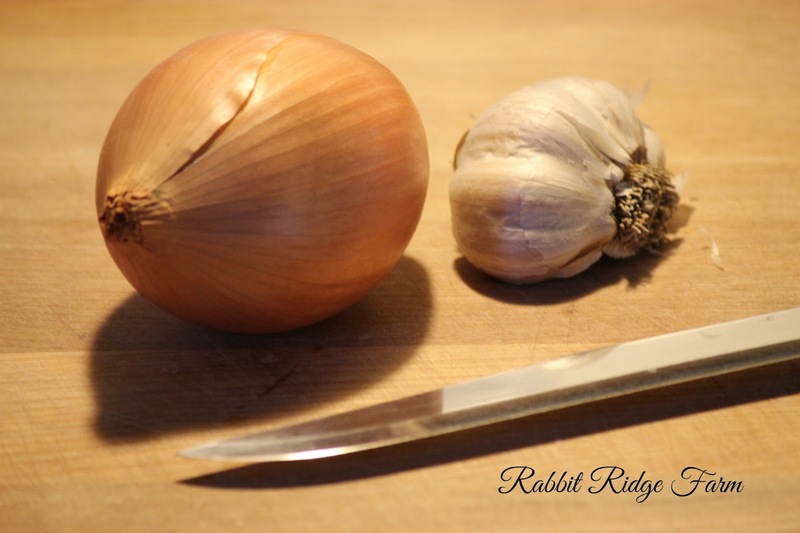 I don’t measure much when I cook but this recipe is especially easy to do that with. This post has been shared at the Mostly Homemade Mondays Blog Hop and Our Simple Homestead Blog Hop. 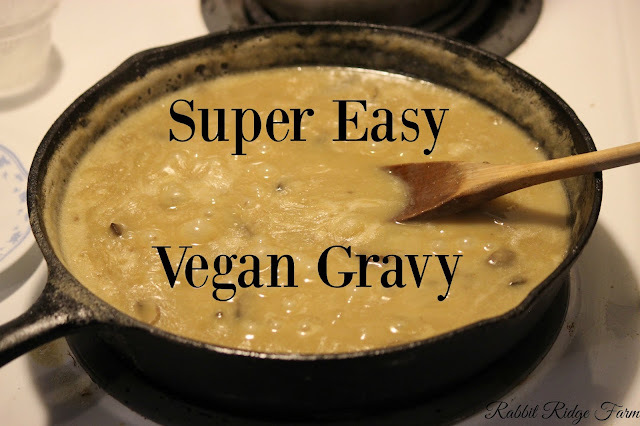 2 Responses to "Super Easy Vegan Gravy"
Sounds like a delicious & nutritious gravy that would go well with many dishes.Thanks for sharing on Real Food Fridays. Pinned & tweeted!